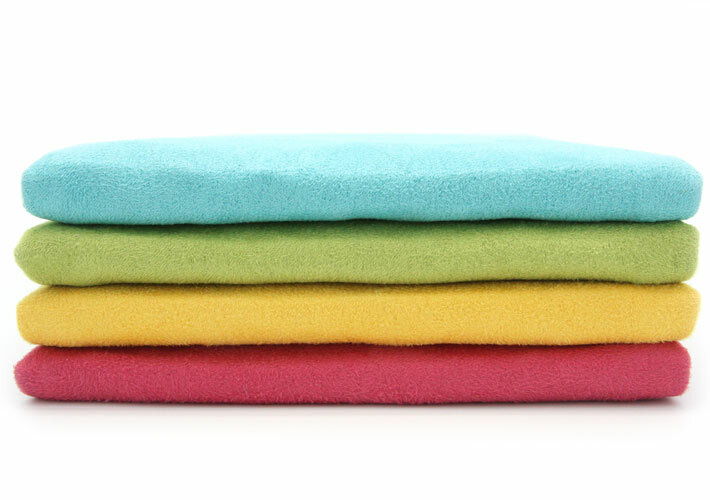 Perfect for the iPad mini, 2, 3 and 4. Also perfect size for your Kindle Fire, HP Slate, Asus Nexus 7, your Samsung Galaxy Note and Galaxy Tab and even the new Nokia N1. 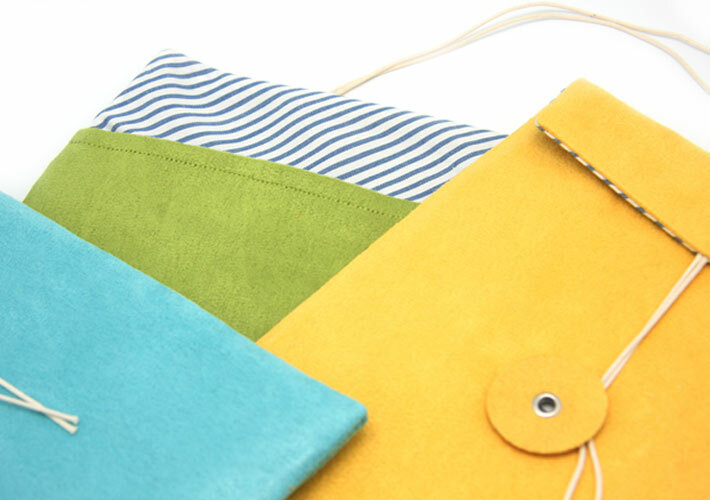 The Overlapping iPad Mini Sleeve is the perfect gift for your iPad Mini! Crafted in our workshop in Paris from brown textured leather. Carry it in your bag, or simply hold it in your hands, the Overlapping iPad Mini Sleeve is a sophisticated way to protect your technology. You can now personalize the Overlapping iPad Mini Sleeve with your initials, hand-painted on the front. 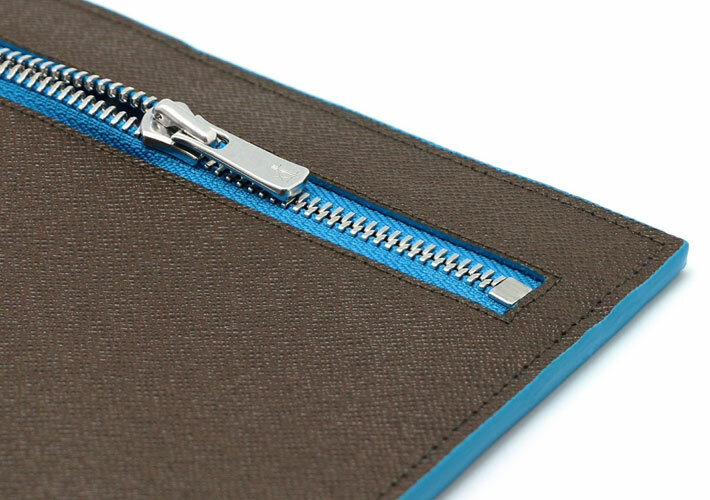 The YKK zip will keep your tablet safe and the cotton lining will prevent your iPad Mini screen from scratches. Handcrafted in our Parisian workshop. 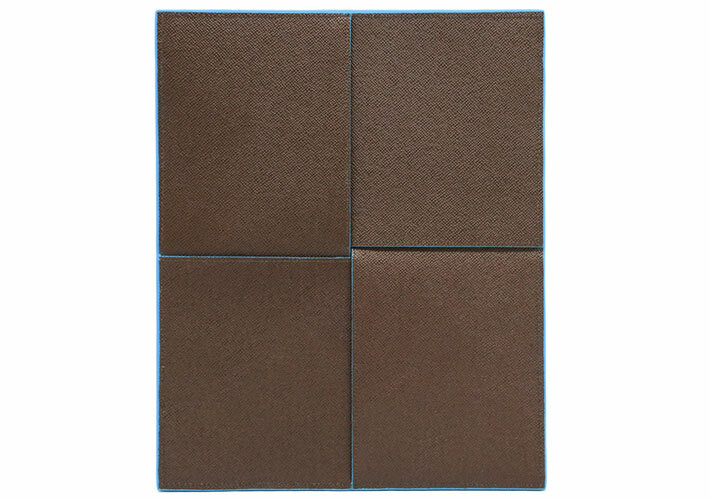 The Overlapping iPad Mini Sleeve is also perfect for your Kindle Fire, HP Slate, Asus Nexus 7, your Samsung Galaxy Note and Galaxy Tab and even the new Nokia N1. 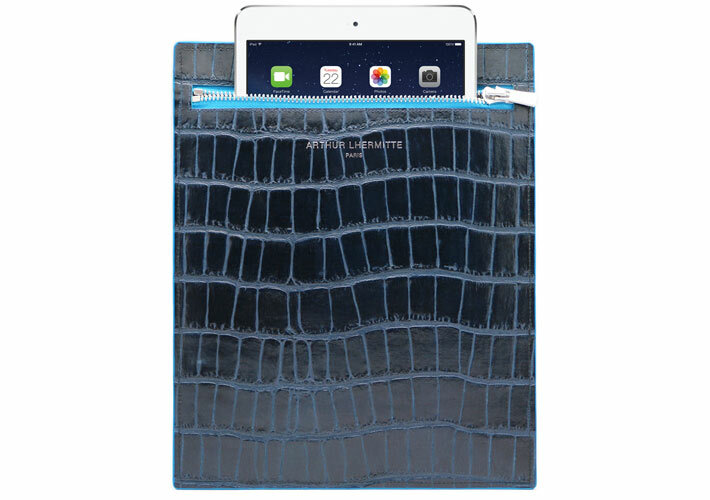 This dark blue crocodile embossed leather sleeve is the perfect gift for your iPad Mini! 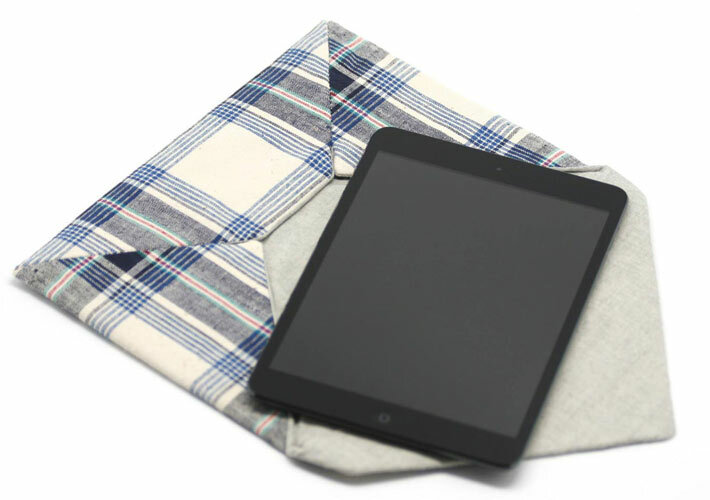 The sleeve is designed with a one-sided zipped pocket to perfectly fit your iPad Mini. 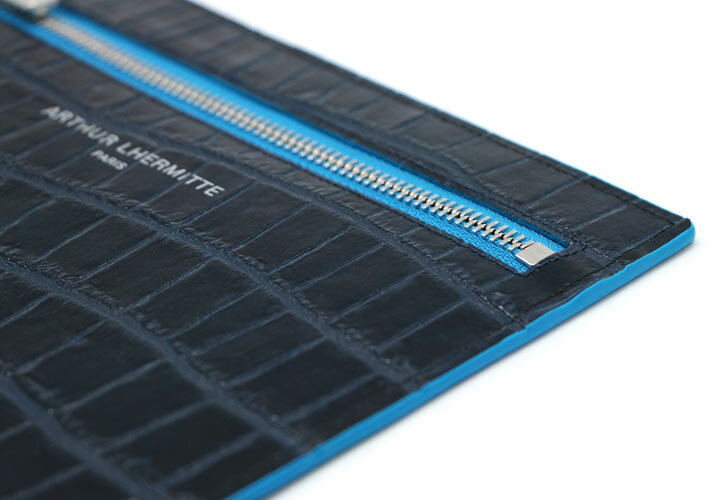 It has been crafted in our workshop in Paris from dark blue crocodile embossed leather. 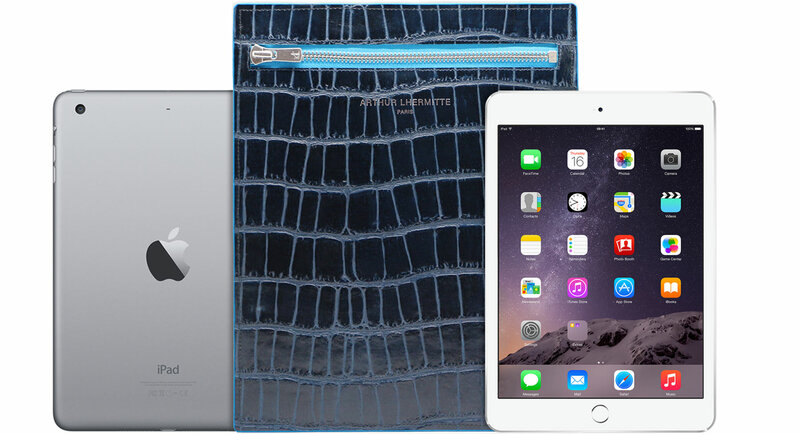 Carry it in your bag, or simply hold it in your hands, the iPad Mini Croco Sleeve is a sophisticated way to protect your technology. 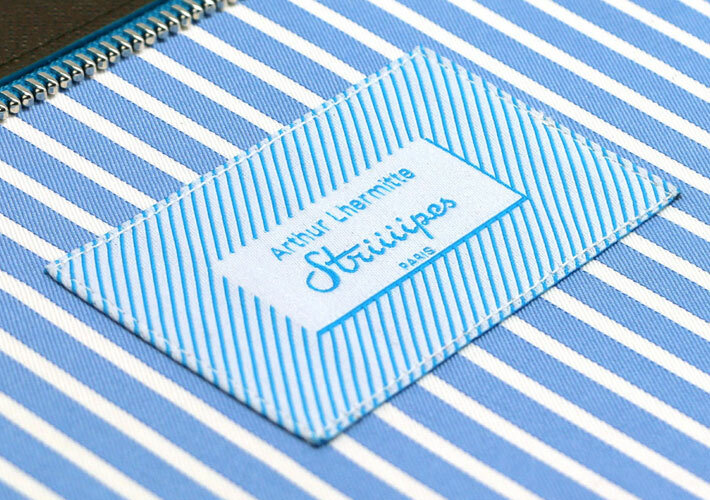 There’s space inside for a few other small goods: notebooks, pens, cardholder, should you need it. 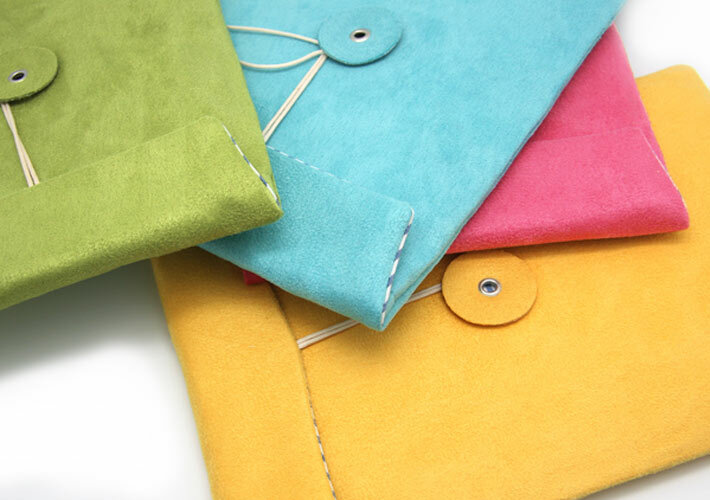 The high quality zip will keep your tablet safe and the silk and cotton lining will prevent your iPad Mini screen from scratches. 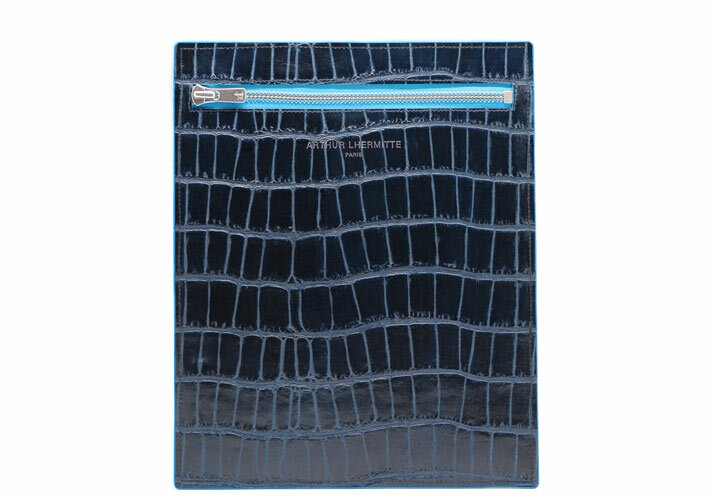 The iPad Mini Croco Sleeve is also perfect for your Kindle Fire, HP Slate, Asus Nexus 7, your Samsung Galaxy Note and Galaxy Tab and even the new Nokia N1. We love the iPad Mini, so we decided to make sure you could always carry it safely with you, anywhere. 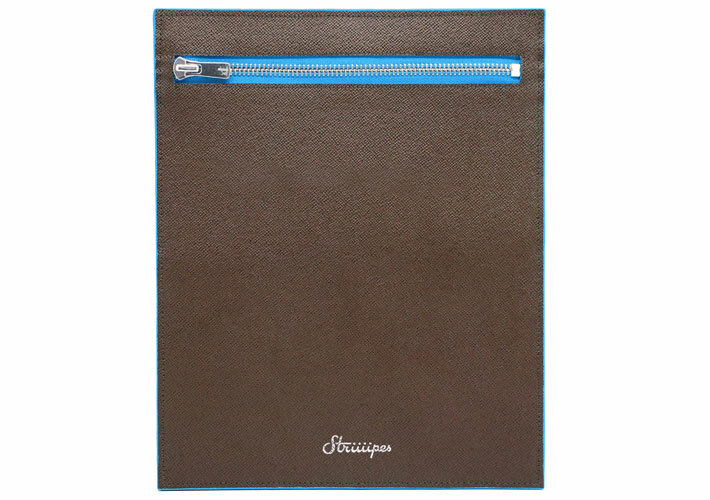 My iPad Mini Envelope is a premium suedette envelope that provides a soft layer to gently protect your iPad Mini with style. 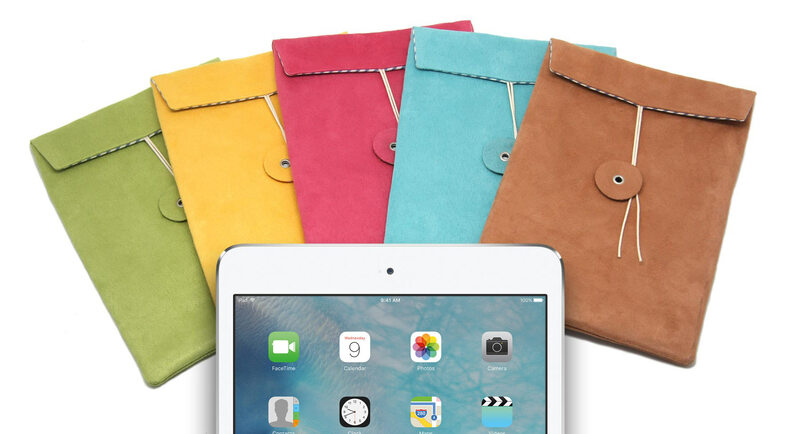 Discreet and colorful, the iPad Mini Envelope will keep your precious belonging safe from scratches and dust. Use it as a classic string envelope, put your iPad Mini in it, close it and you are ready to go. 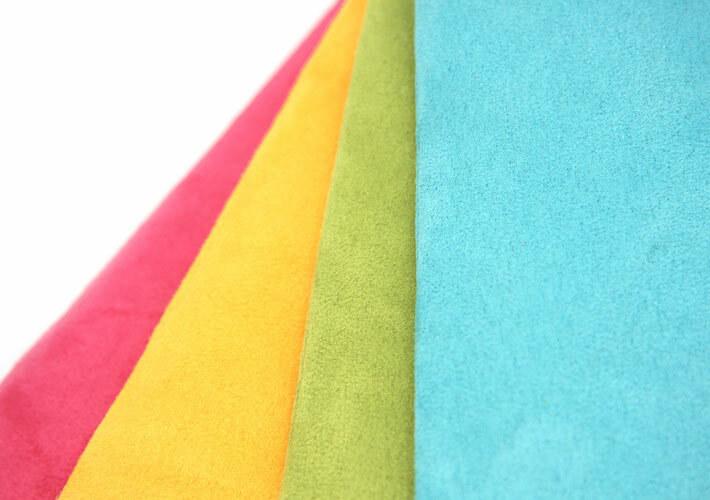 My iPad Mini Envelope is available in brown, blue, green, pink and yellow. 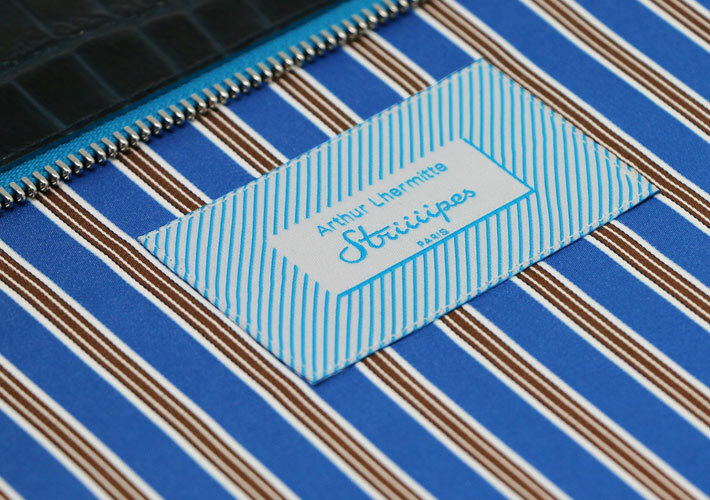 Our reinforced suedette is perfect to express the look and feel of an old kraft paper envelope. 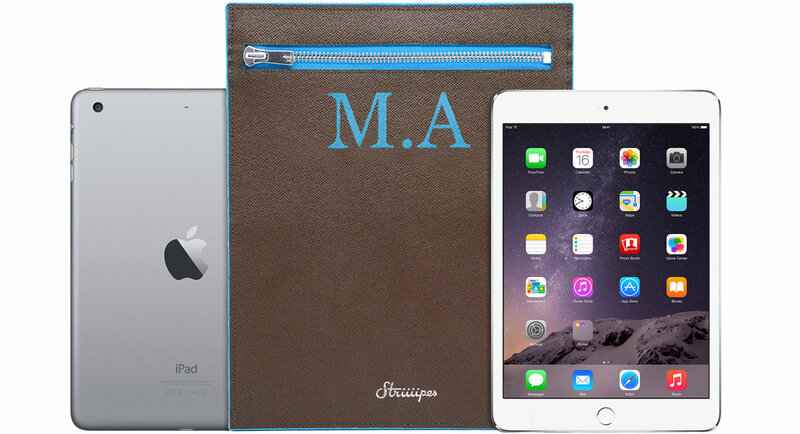 My iPad Mini Envelope is also perfect for your Kindle Fire, HP Slate, Asus Nexus 7, or your Samsung Galaxy Note and Galaxy Tab. And Compatible with the new iPad Mini with Retina display. 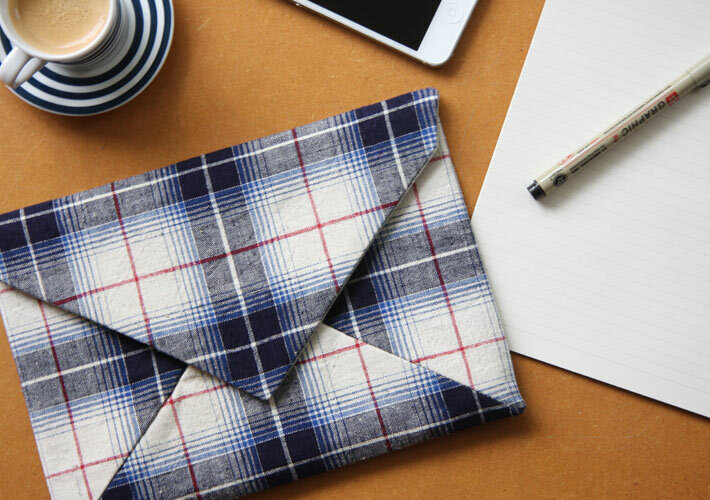 These flap envelope clutches are made of vintage Chinese fabric from an old Shanghainese weaving factory. Apple iPad Mini are trademarks of Apple Computer, Inc., registered in the U.S. and other countries.